Whether you’re a newbie to slow cookers or a crock pot veteran, you’re going to love participating in my 30-Day Slow Cooker Challenge — where you’ll get 30 days of FREE slow cooker recipes delivered right to your email box. You’re going to receive a whole host of amazing free slow cooker recipes, from chicken to beef to veggie, that you can easily set up in the morning and have dinner ready at night. Are you ready for fall cooking? Get a new crockpot recipe delivered directly to your email box for FREE! Plus, you’ll get my weekly family-friendly recipes. 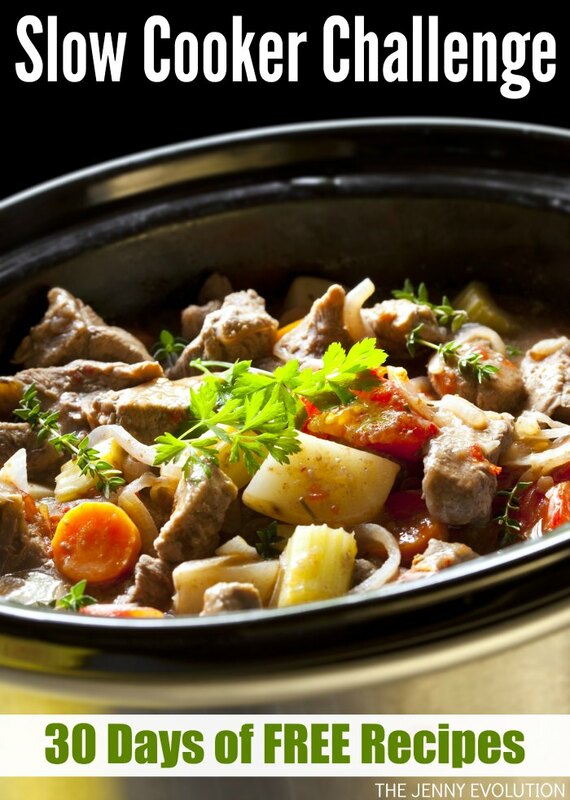 Nothing beats the smell of dinner slowing stewing in our slow cooker. For me, I love working from home… as the flavors start to warm up in our crock pot, the kitchen takes on such a wonderful smell. And as the day goes on, it permeates to the whole house. Oh how heavenly it smells! And if you work out of the house or are on the go, isn’t that the best greeting? To come home to a house filled with the scent of dinner? It is for me! So why not grab these wonderful 30 free slow cooker recipes… I’ll also be sharing a number of crock pot tips along the way! 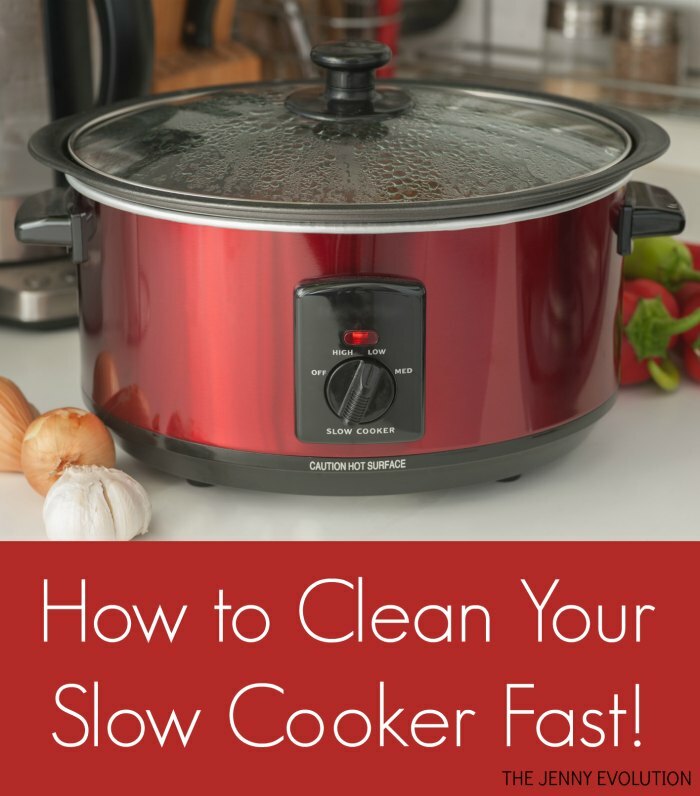 Before you dive in to this fabulous 30-day slow cooker challenge, be sure you have your slow cooker in tip top shape, which includes making sure you’ve cleaned it. Come on, admit it. If you’ve been using your crock pot for a while, it’s probably been a while since you gave it a good cleaning, right? Fill slow cooker with water just above the leftover food line. Add 1 cup of distilled white vinegar for a 6-quart cooker (or 1/2 cup for a 3-quart cooker). Slowly add 1 cup baking soda for a 6-quart slow cooker bit by bit (or 1/2 cup for a 3-quart cooker). Let the bubbles die down and add more until you’ve added it all. Turn slow cooker to low setting. Cover and set timer for an hour. After an hour, remove lid and scrub the entire inside with a scrub brush. Put the lid back on and repeat for another hour. Do this a total of 4 times (for 4 hours total). Let your slow cooker cool for 1 hour, then empty the contents into the sink. Clean it with hot soapy water and light scrubbing if needed. Dry and you’re done! Ready to kick your slow cooker into high gear? 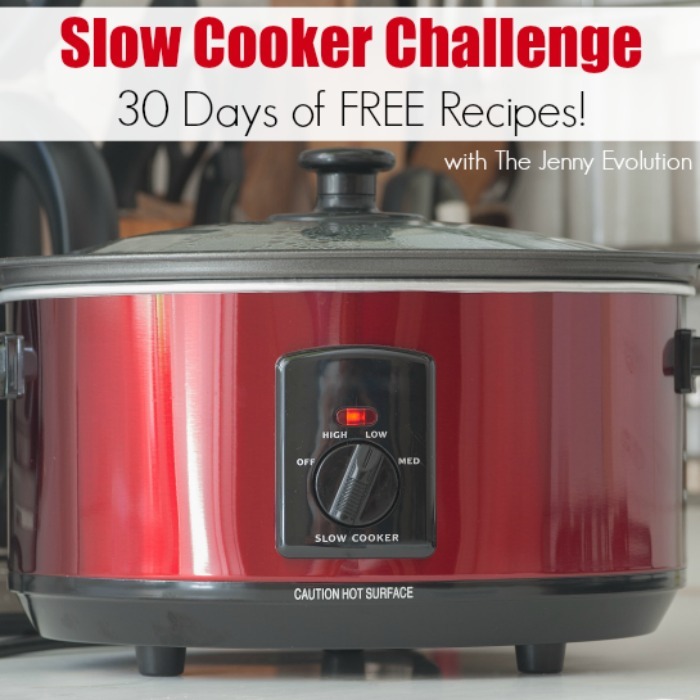 Join the 30-day Slow Cooker Challenge! Sign up to get a new crockpot recipe delivered directly to your email box for FREE for 30 days! Plus, you’ll get my weekly family-friendly recipes. Happy eating!